Today, Americans will celebrate National Voter Registration Day with a massive 50-state effort to register voters before the next election. With important local and state elections in 2018 only months away, every eligible American voter should exercise his or her right to be heard at the ballot box. National Voter Registration Day is the right place to start by getting registered. As a nonpartisan “holiday” for democracy, National Voter Registration Day counts on thousands of partners and volunteers across the political spectrum as well as nonpartisan nonprofits like Feeding Indiana’s Hungry. “Although Indiana’s next election is not until 2018, it’s important for every Hoosier to register to ensure their voice is heard. As a nonprofit representing anti-hunger service providers, we feel it’s important to assist our clients so that they’re able to participate in our democratic process,” said Emily Weikert Bryant, executive director of Feeding Indiana’s Hungry. Partner organizations will coordinate hundreds of National Voter Registration Day events nationwide and leverage #NationalVoterRegistrationDay on all social media platforms to drive attention to voter registration. Events can be located by visiting https://nationalvoterregistrationday.org/. Hoosiers can register at several events across Indiana and online at http://www.indianavoters.com/. Indiana residents with a valid Indiana driver’s license or Indiana state-issued identification card will be able to use this tool to submit a new voter registration application, confirm they are registered, or to update an existing voter registration record if they’ve recently moved, turned 18, or changed their name. Governor Eric Holcomb joined employees of First Farmers Bank and Trust and Indiana Pork farmers to present a $10,000 check to the Million Meals program through Feeding Indiana’s Hungry. Indiana Pork’s Million Meals program received a boost thanks to a $10,000 donation by First Farmers Bank & Trust, headquartered in Converse, IN, during the Ham Breakfast held opening morning of the Indiana State Fair on August 3. Since its inception in 2009, the Million Meals program has provided more than one million ground pork meals to Hoosiers in need through a partnership with Feeding Indiana’s Hungry, an association representing Indiana’s food banks. “As the largest agricultural bank east of the Mississippi River, First Farmers Bank & Trust is focused on production agriculture as it is the backbone of our business and the great state of Indiana. We feel the Million Meals program is a tremendous way to honor our farmers and employees by sharing the blessings of agriculture with the less fortunate in our communities,” said Jeff Rodibaugh, Vice President Commercial Production Manager, First Farmers Bank & Trust. The Million Meals program is truly an Indiana effort with the pork provided by Indiana Packer’s Corporation in Delphi and the processing at McFarling Foods in Indianapolis. The ground pork is distributed among Feeding Indiana’s Hungry member food banks throughout the state. “We are very thankful to First Farmers Bank & Trust for their generous donation. 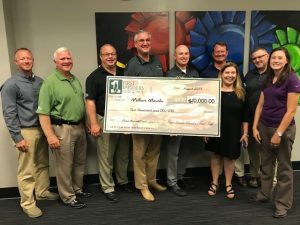 The Million Meals program continues to be a wonderful partnership for our association, Indiana Pork and the generous contributors that make it happen,” said Emily Bryant, executive director of Feeding Indiana’s Hungry. What is an emergency? A storm? Maybe a flood or a fire? What about an act of violence or a health problem? Certainly. But it’s also an emergency when a family doesn’t have anything to eat for dinner. Anti-hunger aid is generally called “emergency food assistance.” This includes the work done day in and day out by food banks, pantries, child hunger programs, and others around the country. They do amazing work with meager resources and donated food to keep that family from skipping meals and being hungry. But the work of the charitable sector only accounts for about 10% of emergency hunger relief in the US. By far the largest emergency food program, providing help for more than 700,000 Hoosiers last year, comes from the Supplemental Nutrition Assistance Program (SNAP). SNAP also keeps that family from skipping meals while generating local economic activity because the benefits are used to purchase food at grocery stores and markets. Working for an organization supporting anti-hunger programs without any food assistance to offer, I still receive calls from Hoosiers who need food right now. A worried mother who knows that there is no food in the house when her kids come home from school. A grandmother struggling to feed grandchildren she is raising. A recently unemployed dad who doesn’t know how he can keep a roof over his family’s head, pay the bills, find a new job, and feed his family. These are emergencies. Many of us are fortunate to never experience this kind of crisis, but when it happens to you, it is just as critical as a flood or a fire. SNAP provides vital emergency relief for many Hoosiers. Right now, Congress is considering massive cuts to SNAP that will have a deep impact on millions of Americans when they find they are no longer eligible to receive help feeding their families or their benefits are cut, and they’re running out of options. These cuts will leave a hole in the food budget of families that the charitable sector cannot fill. Cuts in SNAP benefits or eligibility have often been considered by some Members of Congress as a way of shrinking the deficit, reducing a real or imagined reliance, or seeking to incentivize desired behaviors. While these are not unreasonable goals, it is wholly unacceptable to not provide food to someone who is hungry in this country. I implore our Members of Congress, particularly Congressman Rokita, the vice chair of the House Budget Committee, to oppose any budget that uses the reconciliation process to cut key programs, including SNAP, that help the struggling families we serve. Hunger must not be an emergency for another Hoosier family. Emily Weikert Bryant is the executive director of Feeding Indiana’s Hungry, the state association of food banks. T he Indiana State Bar Association, in coordination with the Office of the Indiana Attorney General and Feeding Indiana’s Hungry, today announced the winners for this year’s March Against Hunger virtual food drive competition. The following winners from each of the six divisions will receive the “Attorney General’s Cup” trophy at the Association’s Awards Luncheon on Aug. 30. This year’s March Against Hunger food drive competition took place March 1-31, generating $37,294.78 in monetary donations. Since 2009, the food drive has generated a total of 70,019 pounds of food and $378,730.69 in monetary donations for Indiana food banks. March Against Hunger Kicks Off 9th Year! The Indiana State Bar is teaming up with the Office of the Indiana Attorney General and Feeding Indiana’s Hungry for its ninth consecutive year to sponsor March Against Hunger, a food drive competition for lawyers to raise money for Indiana’s 11 regional food banks March 1-31. The competition is an opportunity for lawyers statewide to help put food on the tables of those struggling in our state. Since 2009, the March Against Hunger food drive has generated 70,019 pounds of food and $341,435.91 in monetary donations for Indiana food banks. This year in order to make it easier for food drive participants to donate, the competition will be a virtual campaign. Through a virtual food drive, your donation doubles or even triples the impact of your generosity, and Feeding Indiana’s Hungry is assured it can distribute the most-needed items to food banks across the state. To clarify, this competition no longer includes the collection of non-perishable food donations. Firms can sign up anytime before the competition begins or during the collection period. Click to sign up here! Chili’s Indiana restaurants are partnering with Feeding Ind iana’s Hungry! Through the May 1st, 15% of pre-tax purchases will be donated to Feeding Indiana’s Hungry with voucher! INDIANAPOLIS – Lawmakers are considering several bills this legislative session dealing with hunger issues in Indiana. Thursday, the Senate is expected to vote on SB 9, which would remove a lifetime SNAP benefit ban on anyone who’s been convicted on felony drug charges. Emily Weikert Bryant, executive director of Feeding Indiana’s Hungry, says it was put into place as part of welfare reform legislation in the 90s but it really hurts those who make a mistake and end up in prison, because once they’re released they can’t always find a job, and aren’t able to receive help buying food. Weikert Bryant says Indiana is one of the few states that has not removed the ban. “Within the last two years, the states of Alaska, Texas, Alabama and Georgia have changed their policies away from that lifetime ban, and we’ve seen most other states do that as well because it doesn’t serve the purpose that it was intended,” she points out. Weikert Bryant says people just getting out of prison make around $10,000 a year, but in Indiana the minimum amount needed for a single person to be considered self sufficient is more than $18,000 annually. A bill heard recently in committee is SB 154, which would eliminate the asset test that a SNAP recipient must pass to be eligible for benefits. Weikert Bryant says that regulation makes it nearly impossible for people to put anything aside so they can pull themselves out of poverty. “If you have any sort of savings or some retirement account, some other types of savings, if you have a pre-paid burial plot, you have to sell or get rid of those assets, or spend them down, in order to be eligible for SNAP benefits, even if you have no income at all,” she points out. Weikert Bryant calls the SNAP program one of the most well run, efficient and effective anti-hunger programs in the country. She says food banks are providing meals to 1.1 million Hoosiers and they’re still having trouble meeting everyone’s needs. Other bills she and other advocates are keeping an eye on this legislative session have to do with healthy food financing programs to help get fruits and vegetables to areas known as food deserts in the state, and a program to help food banks to buy Indiana-grown products. Feeding Indiana’s Hungry is committed to enhancing the quality of life for our clients through access to safe, nutritious food and other vital necessities. One in six Hoosiers is food insecure. Feeding Indiana’s Hungry supports legislation and administrative policies which recognize the needs of the more than 1.1 million Hoosiers Indiana food banks serve and increase the accessibility of nutritious food options to promote health, educational attainment, and workforce success for those in need. Feeding Indiana’s Hungry supports investment in healthy, Hoosier grown food through the Farms to Food Banks program funded through the ISDA. Feeding Indiana’s Hungry asks for $300,000 in year one of the biennial budget and $500,000 in year two, to be spent on Indiana grown and produced food to help Hoosiers at risk of hunger through the food bank network. Feeding Indiana’s Hungry supports removing barriers to public assistance enrollment and administration to ensure that programs that assist food bank clients are provided to those eligible for the assistance in the most efficient and cost effective way possible. We oppose establishing any additional barriers to public assistance eligibility or access or utilization. Feeding Indiana’s Hungry supports the removal of a ban on receiving SNAP benefits by individuals with a past felony drug conviction. Since welfare reform in 1996, individuals convicted of a felony which has as an element the possession, use, or distribution of a controlled substance are ineligible for SNAP benefits under federal law unless a state opts out of this requirement. Indiana is one of only 7 states still operating under a lifetime ban, since Texas and Alabama altered state public policies in 2015 and Georgia and Alaska followed in 2016. Additionally, SNAP bans do not apply to any other types of felony convictions. Because women are the primary recipients of SNAP and women of color are more likely to get caught up in the racial disparities of the criminal justice system, the bans disproportionally affect children of color and their mothers. Feeding Indiana’s Hungry supports the elimination of state SNAP asset limits through the enforcement of broad-based categorical eligibility. In Indiana, a SNAP applicant household must have less than $2250 in assets ($3250 if the household contains a senior or individual with a disability) to be eligible. Assets include bank accounts, cash, real estate, personal property, vehicles not used for household transportation, retirement accounts, health savings accounts, education savings accounts, and individual development accounts. The household’s home and surrounding lot, household goods and personal belongings, defined benefit pensions and life insurance policies are not counted as assets in the SNAP program. Personal savings and assets pull families out of poverty and move them toward self-sufficiency. Asset limits adversely affect the recently unemployed who retain assets that must be spent down and seniors on fixed incomes. 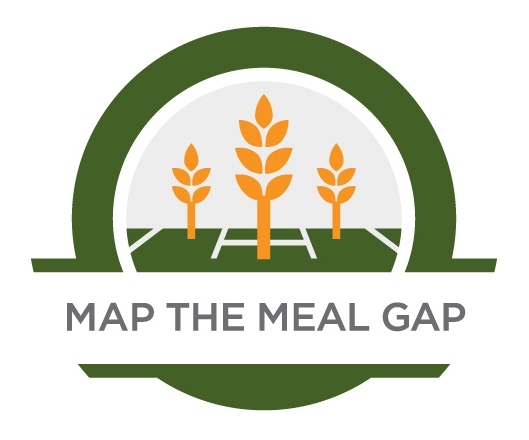 Feeding Indiana’s Hungry supports legislative review on successes of job connection for unemployed SNAP recipients with arbitrary time limits for nutrition benefits. Since welfare reform in 1996, SNAP requires all recipients who are able to work to by government definition (despite existing physical and mental impediments) do so unless there is an exemption. So-called able bodied adults without dependents (ABAWDs) who are financially eligible to receive SNAP benefits must meet special work requirements in addition to the general requirement to maintain eligibility. ABAWDs can only receive SNAP nutrition assistance for 3 months in 3 years if the special requirements are not met. Outcome reporting from the IMPACT program would enable legislators to review the efficacy of the employment training and job placement program, whether it has assisted recipients to come off the program, and the impact on the charitable sector to provide services for individuals who have become ineligible for nutrition assistance and remain unemployed or underemployed. Feeding Indiana’s Hungry supports public policy proposals that will bring healthy food options to food insecure Hoosiers. Feeding Indiana’s Hungry supports healthy food financing programs that empower food banks and pantries to build capacity for perishable items. Food bank clients struggle to afford and access food. 85 percent of food bank client households purchase inexpensive, unhealthy food because they cannot afford healthier options. About a third of households report watering down food or drinks to make what they have last longer, including infant formula. Some grow produce. About two-thirds of client households have received help from family and friends, and more than 40 percent have sold or pawned personal property to do what they can to provide enough food for their families. • 63% between food and housing. Notably, nearly half of client households have incorporated charitable food assistance into their monthly food budgets. Emergency food assistance programs allow clients to address core food expenses so that limited income can be allocated elsewhere. Food deserts are a part of the larger problems of hunger and healthy food access. Food banks have developed innovative strategies to bring fresh produce and other nutritious foods into food deserts which include mobile pantries, trucks that drive out to communities that lack access to traditional food pantries or retail and distribute food. Additionally, there are roughly 1,800 charities already operating around the state that, with a modest grant or loan, could increase cold storage space or purchase mobile refrigeration to provide additional produce to assist Hoosier families.